To contact any former director, write business@sahawaii.org or use the Contact Us form and your email will be directed appropriately. Michael has demonstrated a lifelong commitment to personal and global sustainability. His efforts in the fields of social services, education, environment, economics, and planning reflect his holistic and creative capacity and his passion for creating positive change in the world. An Accredited Investment Fiduciary® and currently the only investment advisor in the State of Hawai`i who exclusively manages sustainable and responsible investment (SRI) portfolios, Michael is Managing Partner and Director of Social Research of Natural Investments, a Registered Investment Adviser, a Green America-certified green business, and a founding B Corporation, with offices in nine states. Michael maintains considerable focus on corporate behavior and policy, shareholder advocacy, community development finance, and Hawaii-based and national green start-up companies. He is known within the SRI industry as a proponent of higher and more uniform industry standards, he is currently developing an SRI college course curriculum for college business courses and degree programs, and he serves on the Advocacy and Public Policy Committee of the Social Investment Forum. In addition to his national leadership, Michael is very active in fostering sustainability in Hawai`i. Michael serves on the board of the Sustainability Association of Hawai`i, a statewide green business program, and is on the steering committee for the Hawai`i Alliance for a Local Economy, the state chapter of the national Business Alliance for Local Living Economies. In 2005, Michael founded the Kuleana Green Business Program of the Kona-Kohala Chamber of Commerce, the first all-sector social and environmental performance recognition program in the state. In addition to recognizing businesses that make exceptional commitment to employees, customers, the community, and the environment, the program conducts bi-monthly public workshops, hosts the leading annual green business conference in the state, and gives a Kuleana Award to the Green Business of the Year in West Hawai`i. In 2008, Natural Investments LLC received this award. 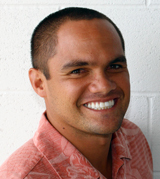 Michael is a member of Envision Hawai`i, Kanu Hawai`i, and Sustain Hawai`i. and was a co-founder of the 20-event Kona Earth Festival, a series of annual environmental education events. Michael was also Vice-Chair of the Hawai`i County Energy Advisory Commission. Michael earned a Master’s degree from Harvard University in 1990, and Michael’s life purpose since then has been to educate people locally and nationally about the importance of regenerative consciousness and lifestyles. Initially, interest in child development and education led to positions in public school teaching and social service program management. Michael founded and directed Youth Ecology Corps, a program dedicated to youth leadership, service, and sustainability, and helped spawn two others, Rocky Mountain Youth Corps and the New Mexico Youth Conservation Corps Leadership Program. He has taught sustainable design (permaculture) to youth and adults at schools, colleges and institutes, and is now recognized as a leading U.S. permaculture teacher trainer. As a proponent of service-learning in education who has published national research in the field, Michael taught the pedagogical approach to over 1200 educators, and coordinated several initiatives in this area. Michael is the founder of the West Hawai`i Fatherhood Initiative at Family Support Hawaii. He served as Vice-Chair and Founding Commissioner to the Hawai`i State Commission on Fatherhood. Michael also serves on the Board of Directors of the Friends of Kona Pacific Public Charter School, a Waldorf-inspired K-8 educational program. A strong social change advocate, Michael has organized state and national conferences, served as a prestigious National Service Fellow during the Clinton Administration, developed and advocated for youth, fatherhood, and sustainable business legislation, and served on numerous commissions and boards that promote youth leadership, community service and sustainability. Tamara Armstrong is a Leadership in Energy Environmental Design Accredited Professional (LEED AP) under the U.S. Green Building Council's (USGBC) green building rating system and a GRI Certified Sustainability Reporter. Her invaluable experience in community organizing and her overall zeal for the industry led Tamara to a full time position working in the sustainable business space at KYA Design Group in Honolulu. From there, Tamara launched the KYA Sustainability Studio, a full-service sustainability consulting practice with a mission to engage Hawaii in the broad vision of sustainability through collaborative programs, partnerships and services. She and her team are now working with the State Department of Transportation Airport's Division to address Honolulu International Airport's long term vision for sustainability, among other exciting projects. Tamara and the KYA Studio specializes in a wide variety of innovative business services such as: Waste Audits/Characterization Studies; Recycling Program Design; Sustainability Program Development; Corporate Social Responsibility/Sustainability Reporting, and LEED EB O&M technical support and employee training. 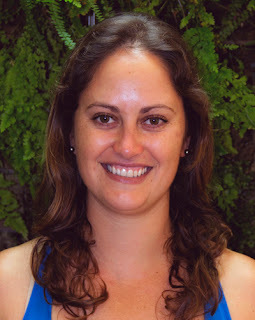 Tamara received her Bachelors of Arts & Sciences through the Environmental Studies Program at the University of Hawaii at Manoa (UHM) where she crafted her own degree in Sustainability to pursue her passion for the growing field. 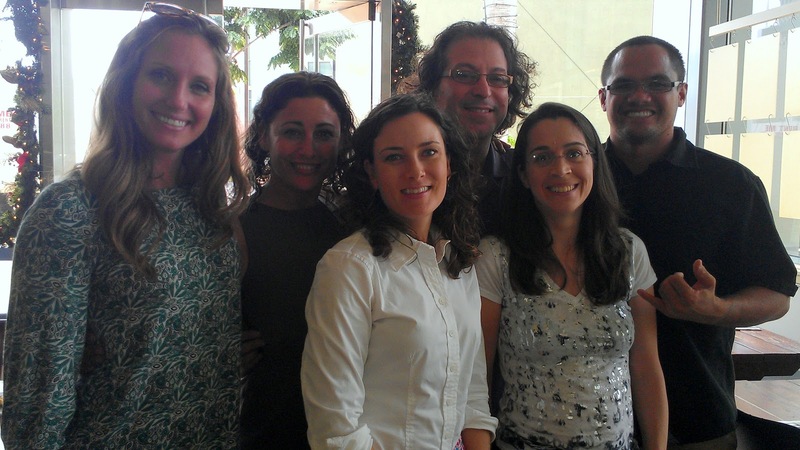 During her time at UHM, Tamara became a founding member of the Sustainable Saunders Initiative where she co-coordinated a highly organized student-led team called HUB (Help Us Bridge). The Sustainable Saunders initiative earned a reputation for turning ideas into action by implementing sustainable practices such as conducting waste audits, de-lamping, installing low-flow plumbing fixtures, installing renewable energy generators, and collaborating with UHM facilities to reduce energy consumption at Saunders Hall by 24% to save the campus $149,900 annually. Born and raised in Lahaina, Kainoa is a proud to call Hawaii his home. 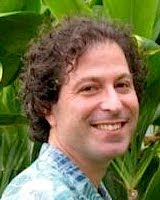 Kainoa is the founder of the sustainable business consulting firm Casco Pacific based on Maui. He has worked on sustainable business initiatives across five states with organizations such as Pacific Gas & Electric, New Resource Bank, Dowling Company/Makena Resort, Wireless Advanced Vehicle Electrification (WAVE), KYA Sustainability Studio, Mountain Riders Alliance, and Hali’imaile Pineapple Company. He earned an undergraduate degree Business Administration: Real Estate Finance from Portland State University and an MBA in Sustainable Management from Presidio Graduate School in San Francisco. Kainoa is a 2008 Ka Ipu Kukui Fellow and also serves as a board member at Maui Community Work Day and Maui Nui Botanical gardens. 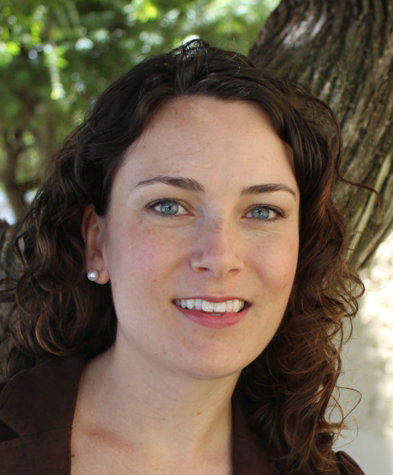 Rachel Harvey is an sustainability consultant, educator, and community organizer. Inspired by the insidious presence of marine debris in Hawaii, she initiated the Kailua Chapter of the Kokua Hawaii Foundation’s Plastic Free Hawaii program in 2010, forming a plastic free business and school coalition, leading volunteers to collect over 3000 pounds of trash at Kailua Beach Park, and helping Hawaii to become the first state with a plastic bag ban across all counties. 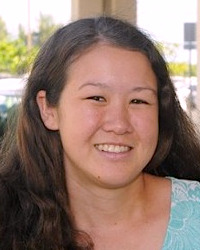 Fostering an interest in the implementation of waste management policies and zero-waste behaviors among Hawaii’s diverse communities, Rachel chaired Kanu Hawaii’s 2011 No Waste Challenge. She now serves as the Plastic Free Hawaii Program Manager, helping Hawaii schools and small businesses reduce their waste footprint while becoming better community stewards. Rachel holds a Ph.D. in anthropology from the University of Florida. 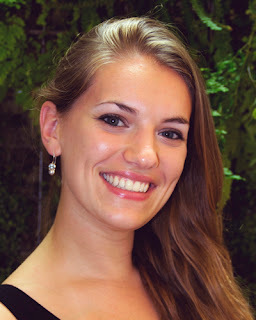 Her graduate research concerned community-based tourism and urban development, including fieldwork in Cape Town, South Africa. She has taught classes on cultural anthropology, tourism, and African studies for UF and UH Manoa. Rachel has additionally served as Mentor to RISE Interns for Kupu. RISE is a collaborative effort to develop Hawaii’s green workforce and implement a variety of sustainability projects while providing paid internships for higher education students and recent graduates. 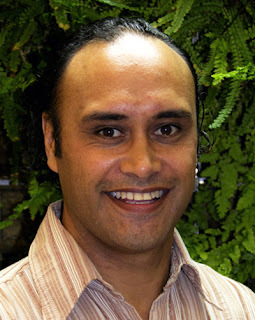 Keone is the co-founder and Executive Director of Malama Kaua’i, a Kaua’i-based non-profit organization dedicated to promoting self-sufficiency and sustainability primarliy through the lens of localized food systems. He is a skilled public speaker with a strong background in community organizing, conducting meetings and hosting large scale events. His leadership role at Malama is focused on building community through healthy relationships; those between the people and the `aina within a “native-to-place” context indicative of cultural responsibility. Additional skills include graphic design, web development and project management. He possesses hands-on experience in developing brand strategies and online marketing campaigns, and has departmental and executive level management experience. Jenna Long grew up on Maui, Hawaii without ever going to a gas station for petroleum. By the time she could drive, her parents had founded Pacific Biodiesel and had opened the first retail biodiesel station in the nation. This has had a great influence on the way she thought of energy and fuel throughout her life. After high school, Jenna spent a year in Japan attending an international university in Beppu. She transferred to University of Hawaii where she earned a B.A. in Environmental Studies and a certificate in Japanese language. In 2006, she started working at Pacific Biodiesel and today is their Hawaii Sales Manager. She also is the Hawaii Island Sales Rep at Cleanway, the division of Pacific Biodiesel that collects restaurant grease. In addition, Jenna has helped to start the Restaurants for Renewables program, in which restaurants are recognized for their contributions to renewable energy. She is also a Board Member of Honolulu Clean Cities, a member of the Chamber of Commerce Environmental Affairs Committee and Pacific Biodiesel's representative in the Hawaii Clean Energy Initiative. Cherub Silverstein earned her master's degree in Educational Foundations from UH Manoa in 2010. She works for Kokua Kalihi Valley at Ho'oulu 'Aina as a Youth Program Coordinator, as well as at Hawai'i Pacific University as an Adjunct Professor in the College of Education. Cherub is an active community volunteer involved in issues of food sustainability and education. She has helped to plan the annual 'Aina Ho'ola O Ma'ilikukahi- Hands Turned to the Soil Food Sovereignty Conference for the past two years. 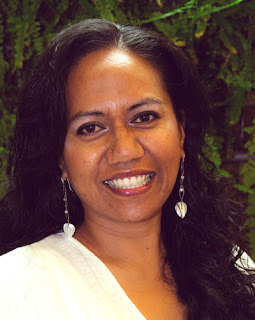 She is an active member of the Hawai'i Food Policy Council, helping to build the local chapter and connect government with community around food and agriculture issues. 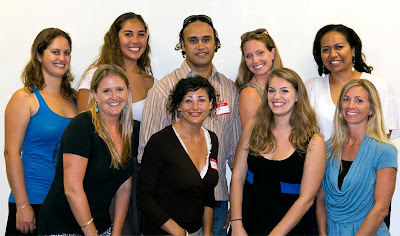 Cherub also participates in Kanu Hawai'i's Eat Local Campaign, planning educational community events and connecting businesses with the Kanu Hawai'i Eat Local Challenge. Educating the community on being more environmentally conscious; while inspiring people to be more in-tune with the planet in all work, life, and play activities is a passion and mission of Dricka’s. 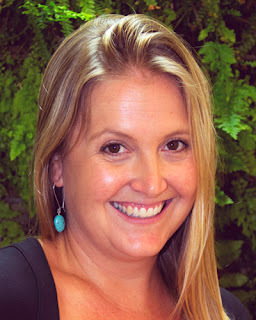 After growing up in an environmentally conscious city and graduating from the Environmental Studies program at the University of California at Santa Barbara, Dricka moved to the island of Oahu to pursue a career in environmental consulting. Presently, Dricka is a LEED Accredited Professional (AP) and Building Scientist with Chelsea Group, Ltd. with over eight years of environmental consulting background and extensive experience in Leadership in Energy and Environmental Design (LEED) project administration. Dricka has provided LEED resource management to LEED New Construction projects for Government, Commercial, and institutional projects; managing the project teams, and efficiently moving the LEED project forward towards successful certification. She was the LEED Project Administrator for the first LEED Commercial Interiors Platinum project to be awarded in the State of Hawaii. Currently, she is facilitating the LEED process for multiple Existing Buildings Operations and Maintenance projects. Prior to joining Chelsea Group, Dricka assisted with the creation of, and managed, the first sustainable design center in the state of Hawaii, the Sustainable Marketplace of the Pacific, focused on educating the Architecture and Design Industry on the LEED rating system and providing tangible examples of products and technologies that would assist in achieving LEED credits. While managing LEED projects, she also had the privilege of providing educational tours to State and Government officials, foreign delegations, design professionals, and students on the LEED rating system and sustainable design. In addition to providing management for the LEED certification process for Commercial, Government, and Institutional projects, Dricka also has technical expertise on Environmental Due Diligence, Phase I Environmental Site Assessments, NEPA and HRS 343 analysis and document preparation, and Environmental Permitting; as well as Indoor Air Quality investigations, Site Assessments for Asbestos Containing Materials and Lead Based Paint, and UST Closures/Removal Oversight. Dricka is also an active member of the US Green Building Council (USGBC) Hawaii Chapter and the Chair of the USGBC Hawaii Education Committee. Carol Feinga currently works for the Kokua Hawaii Foundation as the Administrative Director and in this capacity; Carol oversees two educational programs - the 3R's Recycling Program focused on waste reduction, and the Kokua Earth Action Project (KEAP) program, which recognizes small and large scale projects initiated and led by students to exemplify sustainability in various forms on their campus and in their communities. Prior to joining Kokua, Carol was the director of Hawaii & Military Sales at the Polynesian Cultural Center. She also managed PCC’s Annual Pass Membership program and Educational program, and coordinated special events catered to the local and military market. 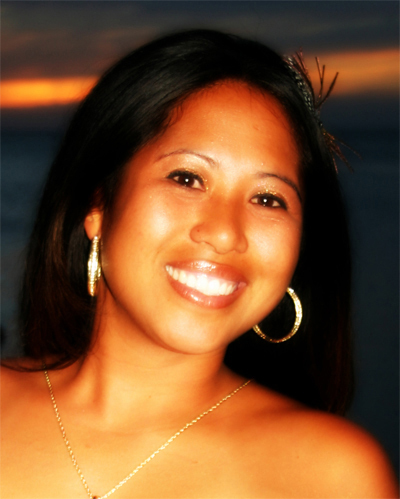 She has years of Sales and Marketing experience in Hawaii's tourist industry as well Kama'aina. Carol is currently serving on various committees and boards for divers organizations around Hawaii, including the Laie Community Association, Brigham Young University's SIFE program and Food Services, Kanu Hawaii Waste Committee, and the Environmental Advisory Committee for the Polynesian Cultural Center. She also regularly conducts pro bono consulting for various businesses and organizations, including Hawaii Reserves, Inc., Polynesian Cultural Center and several more. Carol received her Bachelors of Arts degree at the Brigham Young University Hawaii Campus. She is of Tongan ancestry - her parents having moved to Hawaii from the island kingdom of Tonga in the 60's. Carol was born and raised on Oahu. Carol's top priority is her family and she is continually grateful to her parents for her modest upbringing here in Hawaii. She embraces every opportunity she finds to serve others. She enjoys volunteering, playing scrabble, eating smoothies and takes pride in taking along her reusable shopping bag each time she goes to the grocery store. Through her educational training, professional experience, and community relationships, Carol has become adept at bringing people together to achieve a common goal. She is continuously making connections, and building bridges between diverse groups of people, organizations, and communities. Carol has gifts for speaking, which allows her to easily and successfully communicate important messages to students, business owners, leaders, kupuna, and people from all walks of life. Her positive outlook on life and her joy of giving is noticeable in everything she does. One of her dreams is to bring environmental education and empowerment to all of Hawaii, and hopefully to the Pacific islands as well, making our Pacific ahupua'a a sustainable place for generations to come. Ivory grew up on the beautiful island of Kaua'i and graduated from Kaua'i High School in 2005. During high school she was able to study abroad for a year in Ibarra, Ecuador. It was when she returned from her adventures that she realized the importance and beauty of the place that she came from. 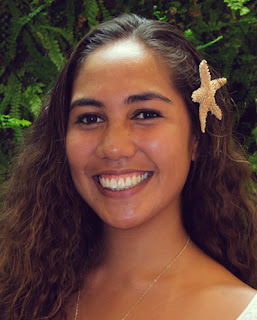 Always growing up in and around the ocean, Ivory's interest in protecting the unique nature of Kaua'i lead her into joining the Leadership Kaua'i class in 2007-2008. Among community and business leaders of Kaua'i, she was the youngest member ever to graduate from this class that focused on the major issues facing Kaua'i: economically, environmentally and politically. With a new interest in Hawai'i's politics, she then moved to O'ahu and graduated from the University of Hawai'i at Manoa with a Bachelors Degree in Political Science and a Certificate in Spanish. During her time at UH Manoa she was the Events Coordinator for Sustainable UH (formerly Sustainable Saunders), planned two of the largest Earth Day Celebrations on campus and led the core HUB team of Sustainable UH. Ivory along with two other students from Sustainable UH were chosen by Blue Planet Foundation in 2009 to travel among 1200 other students across the nation represent Hawai'i's youth and attend a week long conference in Washington D.C. to lobby for clean energy and green jobs for Hawai'i. She is now working as the Program Specialist for Blue Planet Foundation and helping to initiate projects through Blue Planet on the outer islands.